It is recommended that in case you own a laptop, you get yourself a how to repair your laptop power supply step by steps guide like the article you are reading. This will go a long way in enabling you to know all about the power supply for laptop and be able to troubleshoot it if needs be. 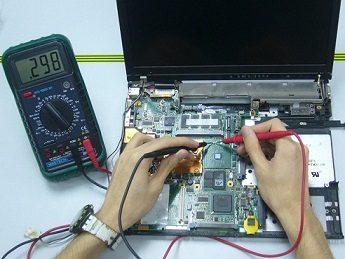 For starters, keep in mind that the understanding of how the power supply for laptops works is important. It will come in handy whenever you need to determine whether there is a problem and where this problem is located. To this end, if the power adapter's light emitting diode is off and you have already plugged in the adapter to your wall, you need to ensure that it is correctly inserted into your laptop. However, if the problem persists, ensure that the switch is not overloaded. Your power strip also needs to be turned on. Check also that the outlet is working properly. The adapter might also be fried. Try using a friend's adapter to verify this conclusion. It is also advised that you learn how to use a multimeter. This will show whether the power is short circuiting itself. In case this is where the problem is, isolate all the possible problems by removing all things that might be causing the short circuit. Taking out the DVD drive, floppy drive, cards, USB devices, hard drive and battery will help you in this. In case you spilled liquid on your laptop, do not give up. 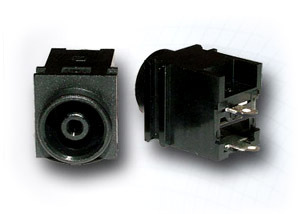 It is possible to repair the damage caused by liquids to your laptop power adapter supply. Once the spill has occurred, turn off your laptop immediately. Turn it upside down to ensure that the liquid slips out the way it came. The remove the battery and power and let your laptop dry for a couple of hours, preferably overnight. Finally, if your laptop computer keeps on turning off at random instances, the cause may be varied. This could be as a result of a power overload right inside your AC adapter in the laptop power adapter supply. A clogged fan or an overheated processor may also be the main issue. Overheated batteries also lead to this problem. Ensure that the power button has not been pushed in. Also, check that there are no loose wires in your power cord. Eradicate any short circuits and your laptop power supply will be sure to start working normally.